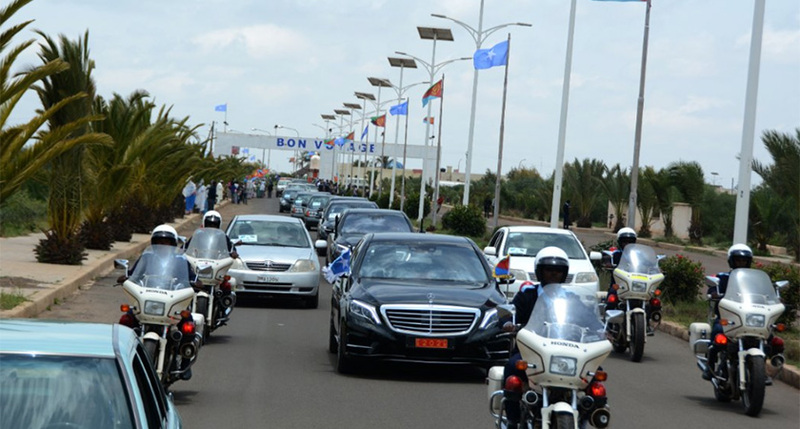 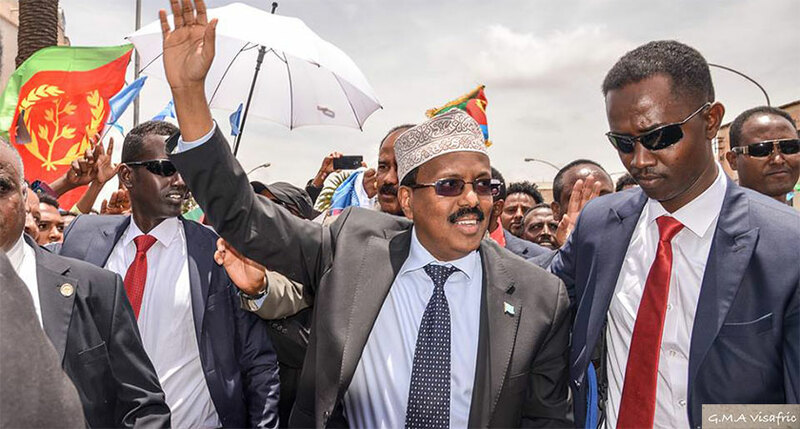 Somalia’s President Mohammed Abdullahi Mohammed (Farmajo) arrives in Asmara at midday today for a three-day historic visit at the invitation of President Isaias Afwerki. 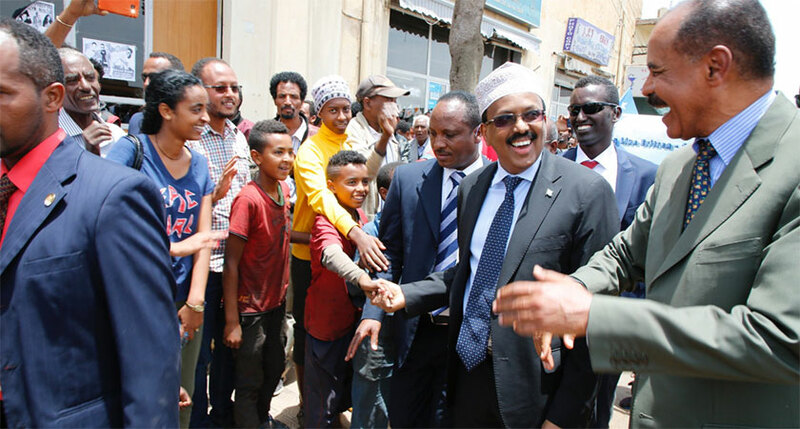 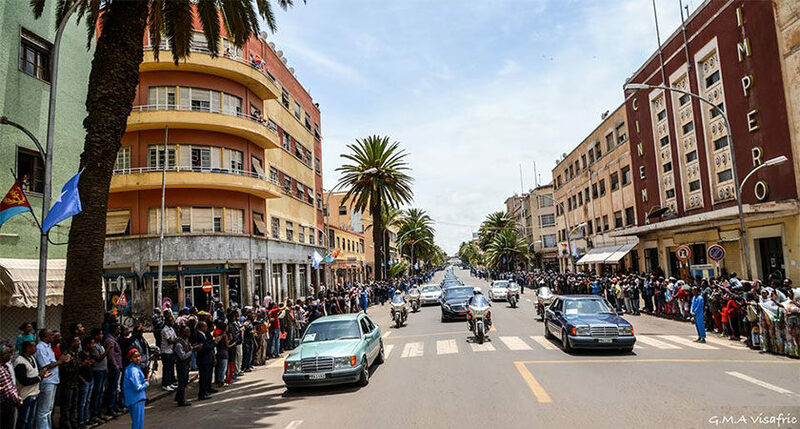 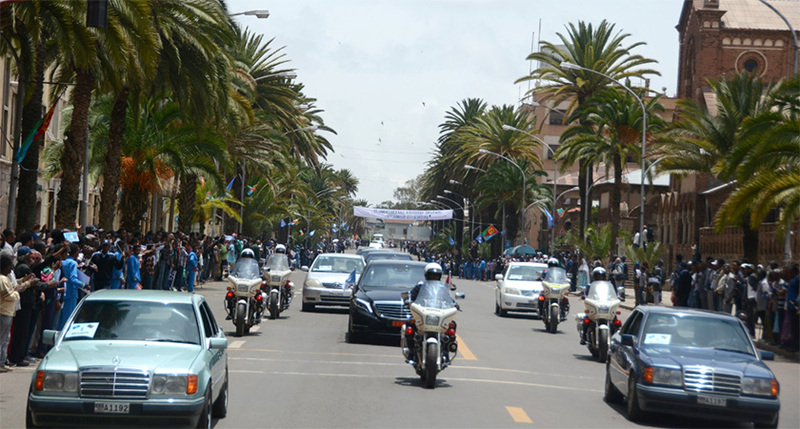 Thousands of Asmara residents also turned to the streets of the city to greet President Farmajo and his delegation. 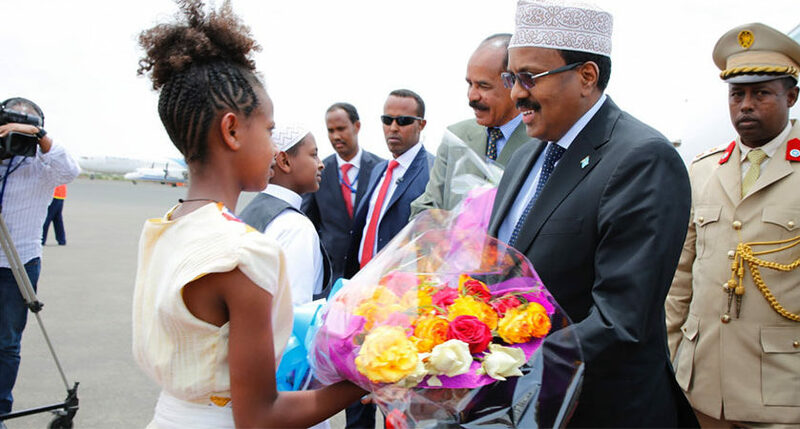 President Farmajo is the first President of Somalia to formally visit Eritrea. 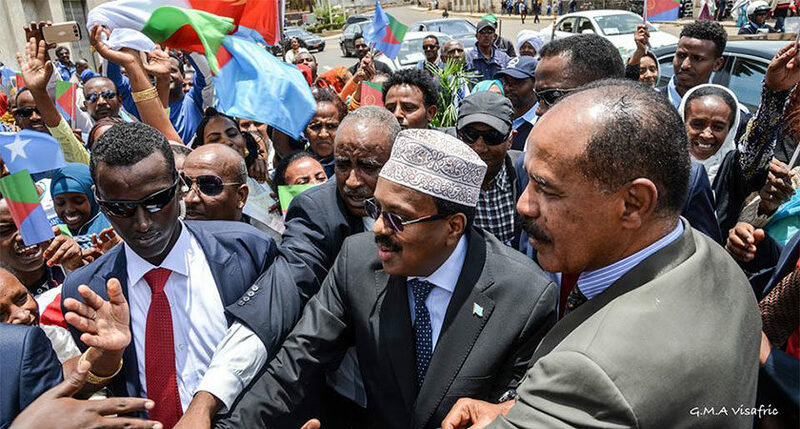 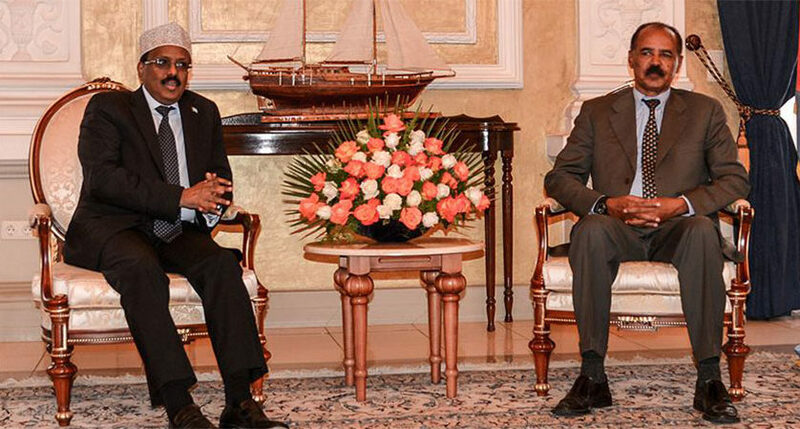 Eritrea and Somalia have not had diplomatic ties for nearly 15 years but the visit is expected to open the doors for diplomatic relations and new cooperation between the two nations. 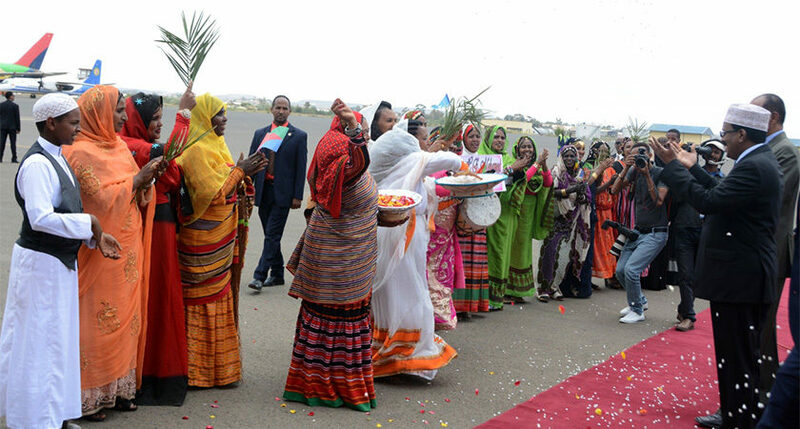 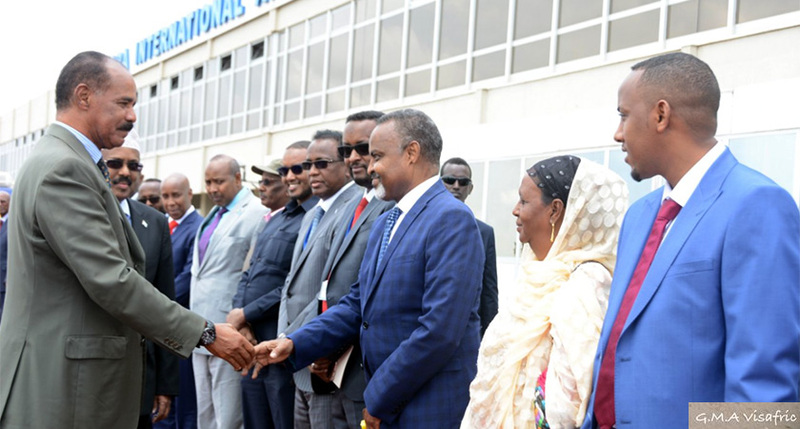 The Somali President was accompanied by his Minister of Information, Culture, and Tourism; Minister of Transport; Minister of Construction; as well as State Minister at Foreign Ministry. 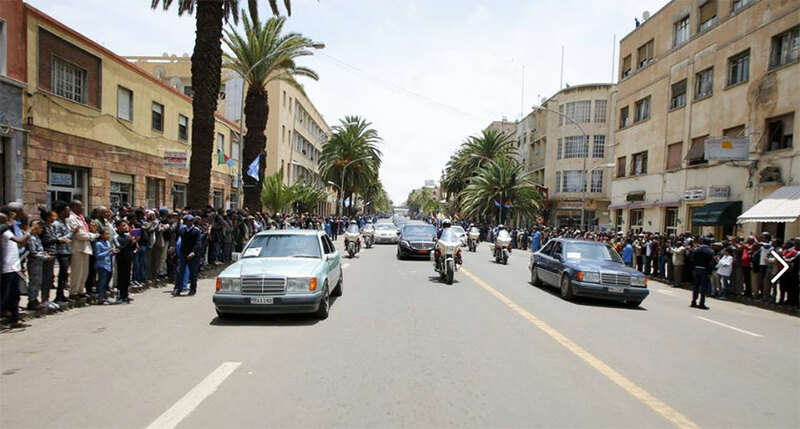 “President Mohammed Abdullahi will visit development sites during his brief sojourn in Eritrea,” Said Eritrea’s information minister, Yemane G.Meskel. 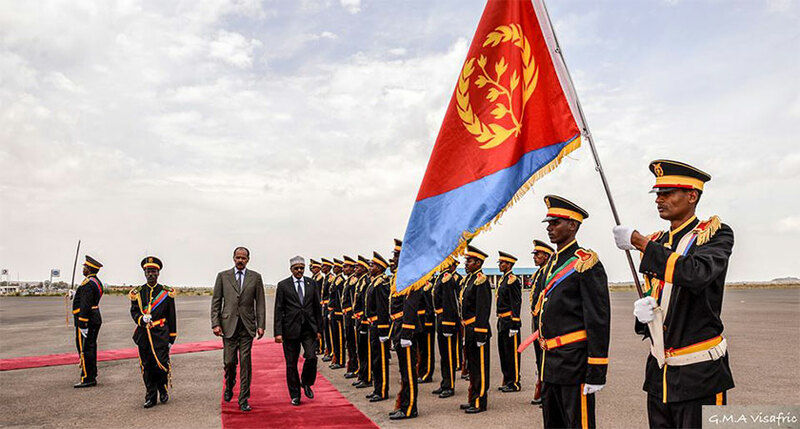 President Abdullahi Farmajo is the second East African leader to pay a visit to Eritrea following a stunning diplomatic thaw between Eritrea and Ethiopia after more than two decades. 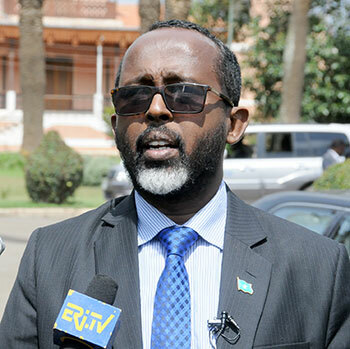 (SHABAIAT, ASMARA) The Minister of Information of the Republic of Somalia, Mr. Tahir Mohammed Gile said that the visit of President Mohammed Abdullahi to Eritrea will have significant contribution in heralding a new era of relation between Eritrea and Somalia. 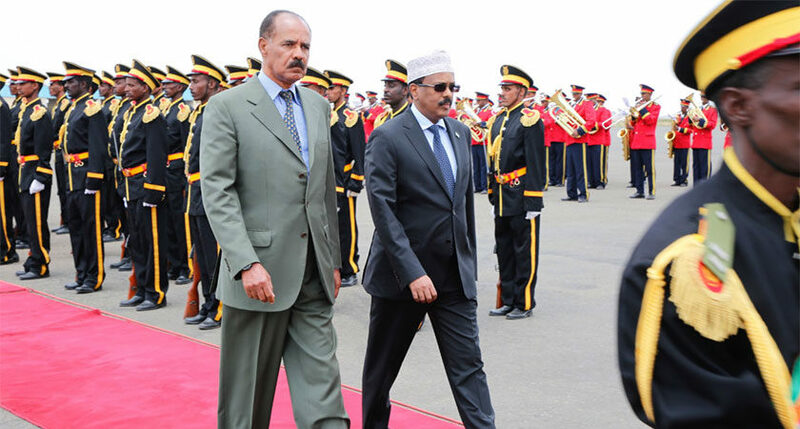 Indicating that President Mohammed Abdullahi is visiting Eritrea for the first time, Mr. Tahir expressed that the visit will have an important contribution to the development of the mutual relations and cooperation between the two countries and peace and stability in the region. 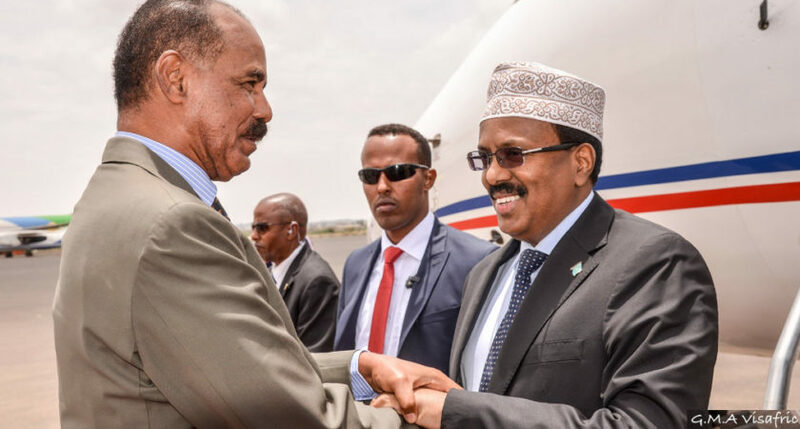 Mr. Tahir underscored that peace and stability is the priority demand of the peoples in the region and that the stronger relations prevailing in the region will be an important step in the development of peace and stability. 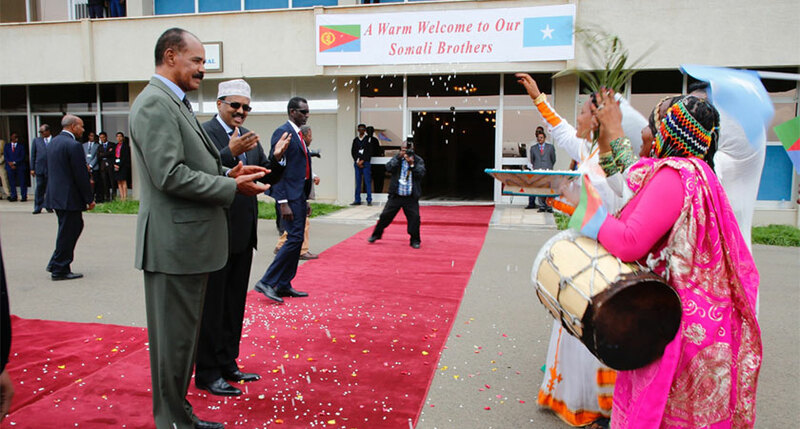 President Isaias Afwerki also hosted lunch in honor of President Mohammed Abdullahi and his delegation.